Have you always dreamed of vacationing in Italy? Are you fascinated by all things creepy, crawly, spooky, and sometimes haunted? If so, you need to book a Discount Italian Vacation with AESU and explore the Scary Side of Venice. Click Here to find a trip that is right for you. Halloween is right around the corner and AESU, the most trusted name in travel, has decided to get into the holiday spirit the best way we know how…by highlighting some of the creepiest, crawliest, and spookiest places around the world. So far we have explored Edinburgh Castle in Scotland, as well as the creepiest attractions in Budapest. This week we are going to take a look at the Scary Side of Venice. This gorgeous building on the Canal Grande may seem ordinary to the naked eye, but the Ca’Dario Manor is anything but. It brings with it a curse. In fact, between 1487 and 1993, many of those who have owned the building have met a violent death – thirteen successive owners. In the 15th Century, the Ca’Dario Manor’s designer and owner, Giovanni Dario, lost his son to murder and his daughter to suicide while under the cursed roof. Count delle Lanza was murdered. Kit Lambert, the manager of “The Who,” committed suicide. It’s no wonder why the people of Venice call Ca ‘Dario the “house that kills.” Only a handful of owners have been able to circumvent the curse. The island of Poveglia sits in the South Lagoon between Venice and Lido. For centuries, the small island has served as a refuge, stronghold, and even a dumping ground for the diseased, dying, and deceased. Over the years, it’s estimated that more than 160,000 bodies were dumped on the tiny island, most coming when the plague ripped through Europe. In the 1800’s, the area’s mentally ill were sent to an asylum on Poveglia Island. Then in the 1930’s, legend has it that one of the doctors at the asylum performed strange experiments on his patient in an attempt to cure their insanity before going mad himself, and committing suicide. Today, the entire island is abandoned, except for the restless spirits that still reside on Poveglia. In fact, the island of Poveglia is now regarded as one of the most haunted locations on the planet, not just in Italy. AESU offers unique, exciting travel programs for college students and young professionals at affordable rates. Each trip is action-packed and informal—designed just for people your own age. 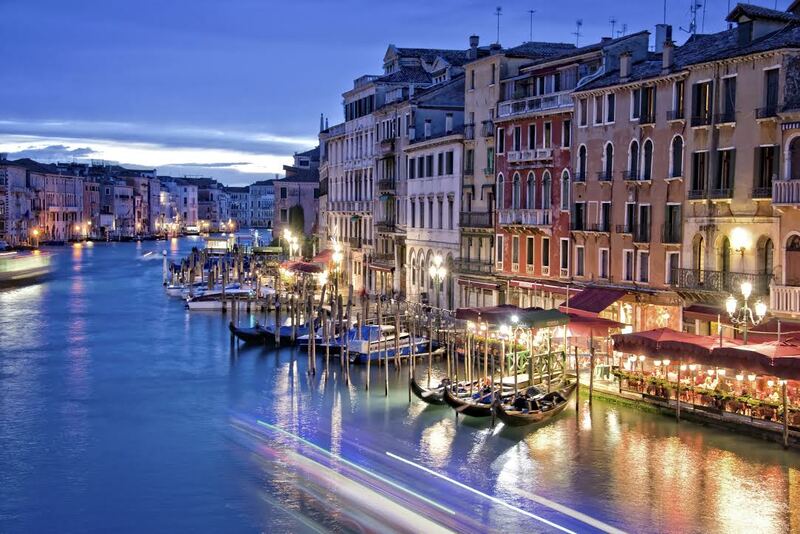 We offer several discount Italian vacation packages, including several that visit the city of Venice – Euro Focus, Great Escape, Euro Spree, and, of course, Viva Italia. Explore the scary side of Venice on a Discount Italian Vacation, please contact AESU by calling 800-638-7640 or fill out the contact form found on our website. And don’t forget to check out all of our great Travel Tips, especially the Travel Tips for Europe, before you head overseas. This entry was posted on Thursday, October 16th, 2014	at 1:51 pm	. You can follow any responses to this entry through the RSS 2.0	feed. Both comments and pings are currently closed.